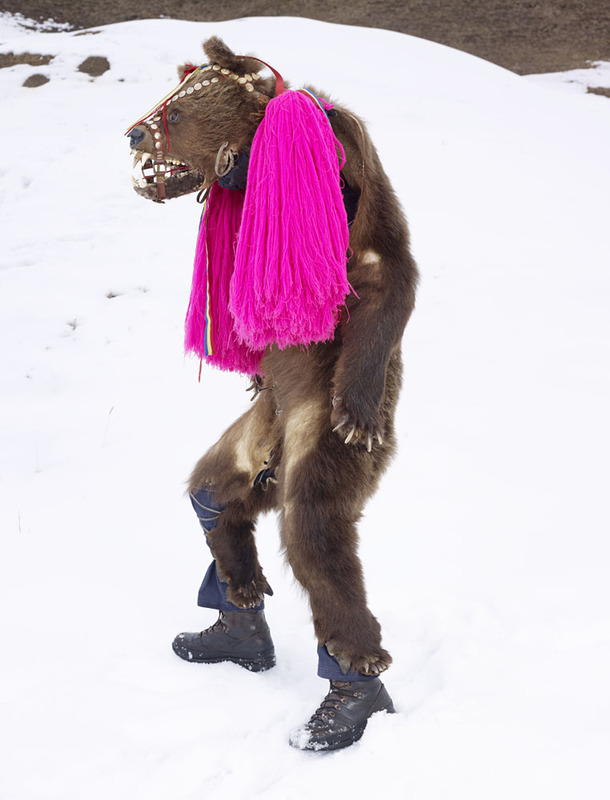 Next is a short Skype lecture with photographer Charles Fréger about his recently published Wilder Mann series that documents costumes used in pagan rituals practiced during the winter months throughout Europe in the present day. 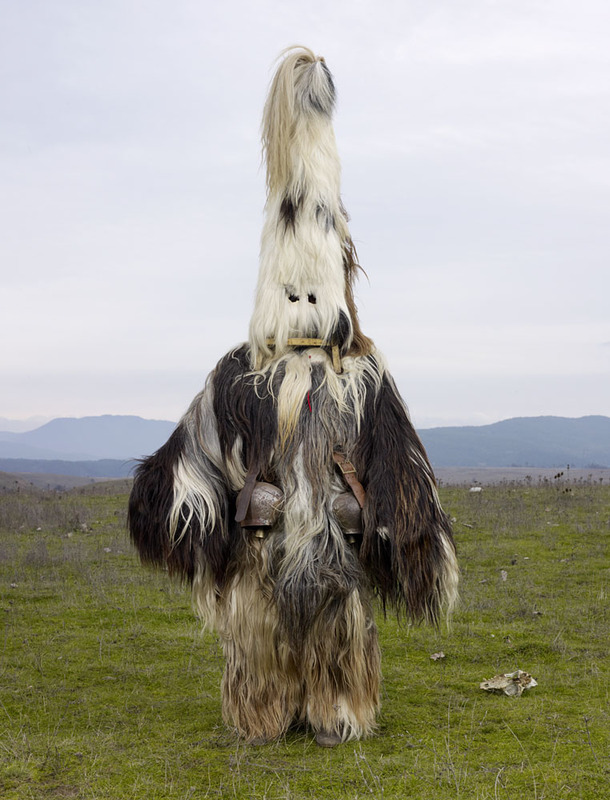 This ranged from the babugeri men of Bulgaria, whose flowing manes look like an upright Komondor sheepdog with an unusually elongated neck, to the Ursul din Palanca of Romania, a curious costume that resembles a skinned black bear with magenta cheerleader pom-pom’s for ear rings. The fact that these ancient and idiosyncratic customs have survived on the fringes of our increasingly secular western society is astounding to say the least, and I salute Fréger for taking the time to capture these rare glimpses into this nearly forgotten chapter of European history.